Phonographic Copyright (p) – King Cole Inc. 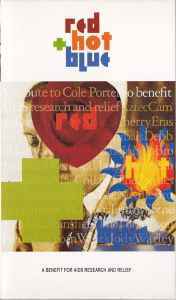 Copyright (c) – King Cole Inc.
<small>A tribute to <a href="http://www.discogs.com/artist/Cole+Porter">Cole Porter</a> to benefit AIDS research and relief. All royalties received by King Cole, Inc. from the sale of this video will go to existing organizations around the world dedicated to fighting AIDS. ℗ & © 1990 King Cole, Inc. Marketed and distributed by BMG Video, a Division of BMG Records UK Ltd.